You can’t schedule a broken tooth into your weekly planner, between haircut and grocery shopping. 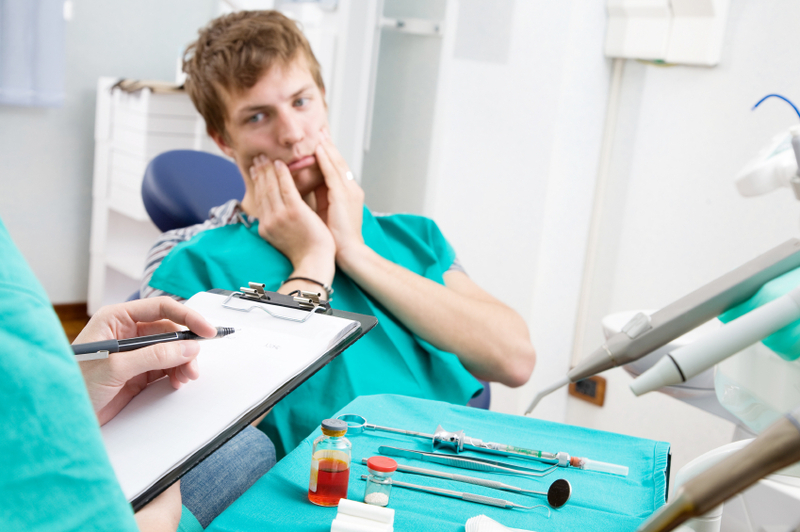 No, dental emergencies don’t take your schedule into consideration — and anyone who’s ever had one knows they often require immediate attention. That’s why when an urgent oral situation pops up, our neighbors are so glad that Joe Isaacson Dental is the same day dentist OKC can count on. Because you deserve better than to be left waiting in pain. When a dental emergency hits, it can be difficult to know how to react. The most important thing to remember, as in any urgent situation, is to stay calm. It helps knowing one call to Dr. Isaacson’s office can get you an appointment the very same day, so you can receive the fast dental treatment you need without wasting any precious time. If you or a loved one are experiencing any of these dental emergencies — or anything else you know warrants a same day appointment — please don’t hesitate to get in touch with the office of Dr. Isaacson as soon as possible. Once you make an emergency call to our office, rest assured knowing it won’t be long before you see Dr. Isaacson or Dr. Cook. To manage the pain and reduce swelling in the meantime, you can apply an ice pack in 15-minute intervals and take an over-the-counter pain medication like Tylenol or Aleve. Stay away from Ibuprofen and Aspirin if bleeding exists — these blood thinners could make the situation worse. Also remember to never apply a pain medication directly to the tooth or gum, as doing so can cause burns. If a Sunday afternoon football game left you or a loved one with a knocked out tooth, take the necessary first steps to save the natural tooth. Find the tooth or its parts and gently rinse them off if debris exists, never scrubbing, and holding the tooth by the visible portion — not its roots. Store the tooth in its original socket, the cheek or a cup of milk if the first two aren’t possible. Call Dr. Isaacson’s office and let us know you’re dealing with a knocked out tooth as soon as possible. Prepare for your next unexpected situation by programming our number into your cell phone right now: (405) 458-8848. Remember that we’re always here to help you with any dental emergency — count on Joe Isaacson Dental for your same day appointment!